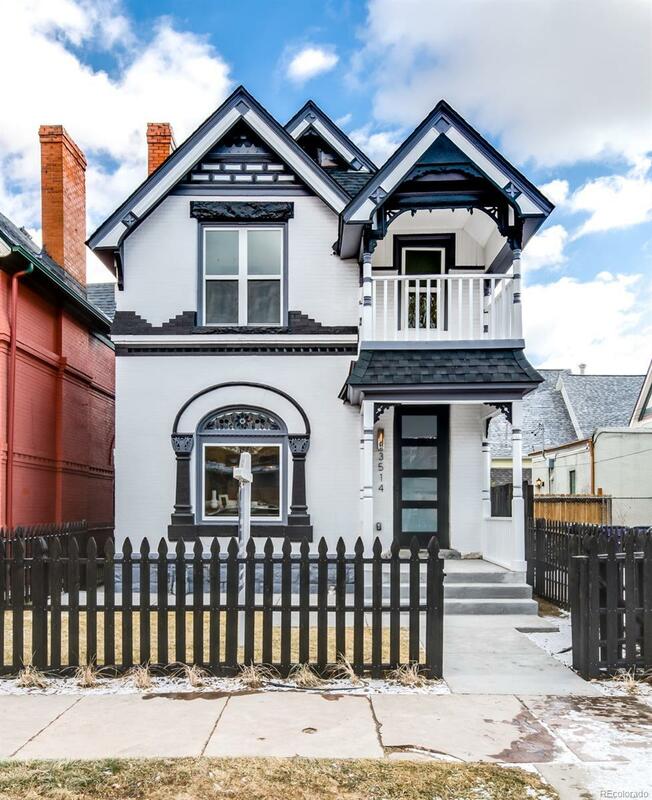 Built in 1900, this Fabulous Victorian is more than what it appears. Tucked away on one of LoHis quiet charming streets this residence is only a few blocks from Denvers Best Restaurants, Shops and Entertainment. Reimagined and Redesigned for modern living this timeless home boasts flawless detail while preserving original charm and character. Inside the open floor plan Balances materials of vintage accents & natural light. High Ceilings transcend the living room into an architectural dream richly stained hardwoods, white washed walls of exposed brick + designer touches create a beautiful room. South facing windows wash the entire first floor with dramatic light. The modern kitchen is open to the living room white quartz, custom cabinetry, designer lighting + open shelving complete the space. A naturally lit luxurious Master En-Suite and two charming secondary bedrooms with Jack-and-Jill Bathroom complete the second floor.